A woman has died two days after a traffic collision in Co Tyrone which claimed the lives of two men. 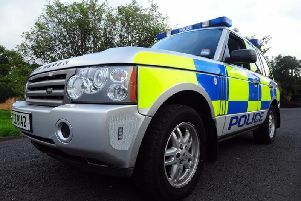 Police said the woman had been taken to hospital for treatment following the accident on the Dungannon Road, Moy, on Sunday afternoon but "unfortuately passed away earlier today." A man and another woman injured in the collision remain in hospital. "No further details will be released at this time in relation to ages or identities of the deceased," said a police spokesperson. Inspector Andrew Archibald continues to appeal for anyone who was travelling on the Dungannon Road in Moy on Sunday afternoon and who witnessed the collision or any of the vehicles involved prior to the collision to contact local officers in Dungannon or the Collision Investigation Unit on 101 quoting reference 699 03/02/19.